In just a few clicks you can become a Private Tour guide or a TravelPapa Local. When you join TravelPapa as a Traveler, you have a lot of options to choose from. You can book an excursion with TravelPapa Private Tour Guides or you can find yourself a travel companion with TravelPapa Locals or you can get the best offers on airfares with TravelPapa Cheap Flights. The platform has a lot to offer for everyone. But what if you want to try something new? Maybe you are looking for a new experience or you want to earn some extra money? If you want to explore the new opportunities on TravelPapa, you can try changing your profile category. To give you more opportunities on TravelPapa we made it possible to change your profile category after you register as a Traveler. To do this, go to the “Edit Profile” tab in your profile, scroll all the way down to the “Change Profile Category” section and notice two buttons “Become a Local” and “Become a Tour Guide”. After pressing one of these buttons you will be asked to type in the additional information required for these profiles. Then you will change your profile category forever. Don’t worry, after changing your profile category you still will be able to do everything you could do as a traveler but with some bonus features. But what category suits you the best? Let’s dive into the differences between a Local and a Private Tour Guide. Become a Local to Hang Out With Tourists and Earn Extra Income. If you are a hospitable and sociable person who likes to show around your hometown, you can become a TravelPapa Local. This Category is perfect for students and people who have some spare time. Meet new people from around the world, share your experiences, learn new languages and hang out with the most interesting people from all over the globe. Also you can set a fee for your services and help tourists with transportation and accommodation or with translation and interpretation. When you change your profile category to the “Local” you tell travelers from all over the world that you are ready to help them and they can contact you. You can set a rate per hour for your services or help travelers for free. You will have a “Reviews” tab on your page, so any Traveler who’ve been hanging out with you can leave a public review on you. You need to indicate your interests to help tourists get the most suitable person to guide them. You can add an endless number of tours and excursions. 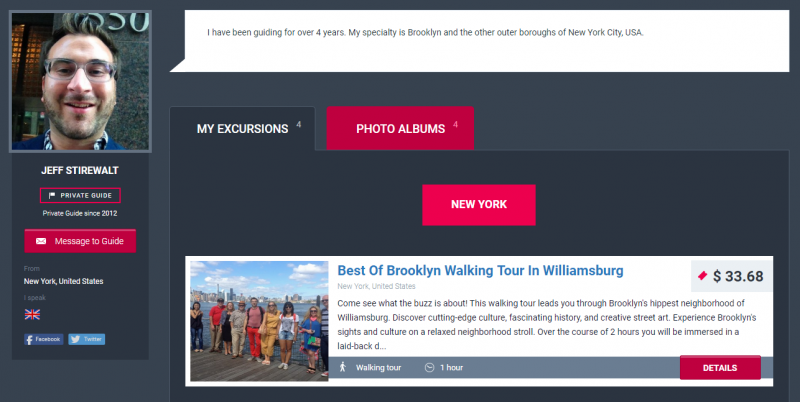 People can book your tours in just a few clicks directly from your profile. Tourists can pay for your services online or in person. Travelers can leave a public review on each of your tours. Now you can decide who you want to be! If you have any questions about TravelPapa Private Tour Guides and Locals visit our FAQ section, or contact us. Get The Best Offers From TravelPapa With Fare Alert!